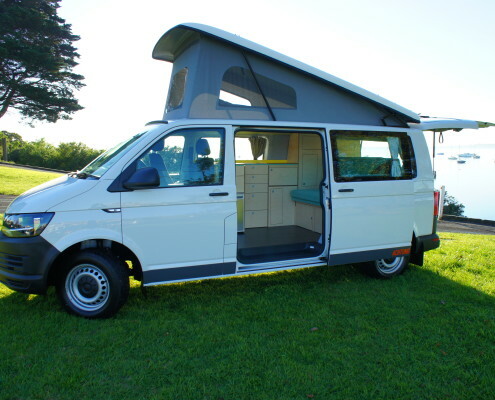 Get your brand new VW T6 campervan now at Achtung Camper. 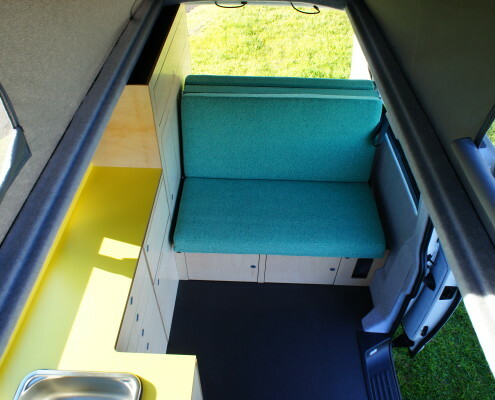 This van has all of the comfortable features you need – full cabinetry for ample storage, pop top roof, cooking facilities and rock and roll bed. 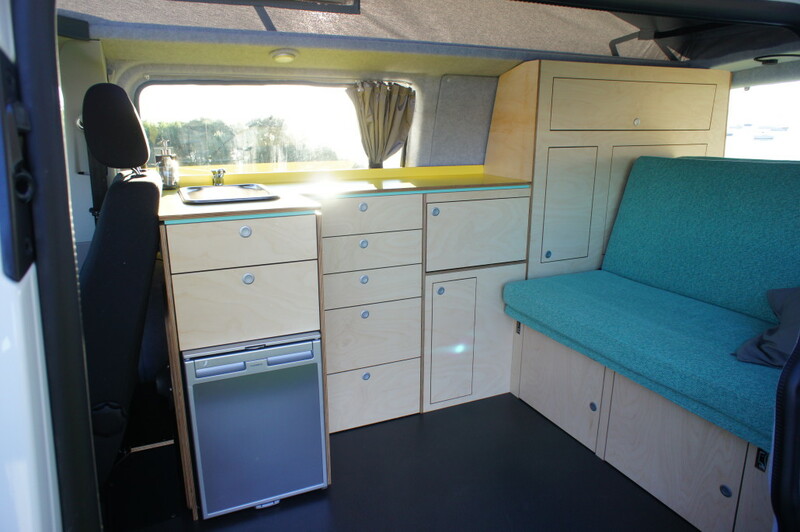 With an ultra modern but still retro birch cabinetry and pale yellow bench top with blue/green rock and roll bed this colour combination is sure to make everyone happy! 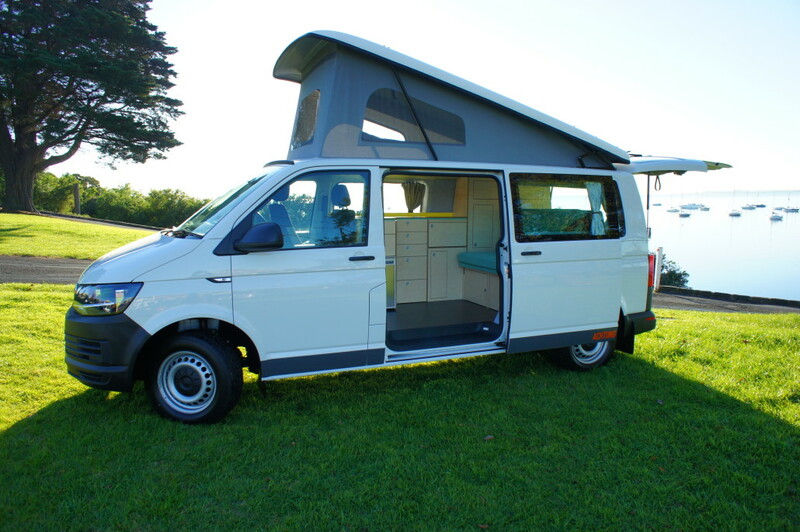 NEW VW T6 LWB TDI340, diesel, Automatic drive with reversing camera, Cruise control and reversing sensors. 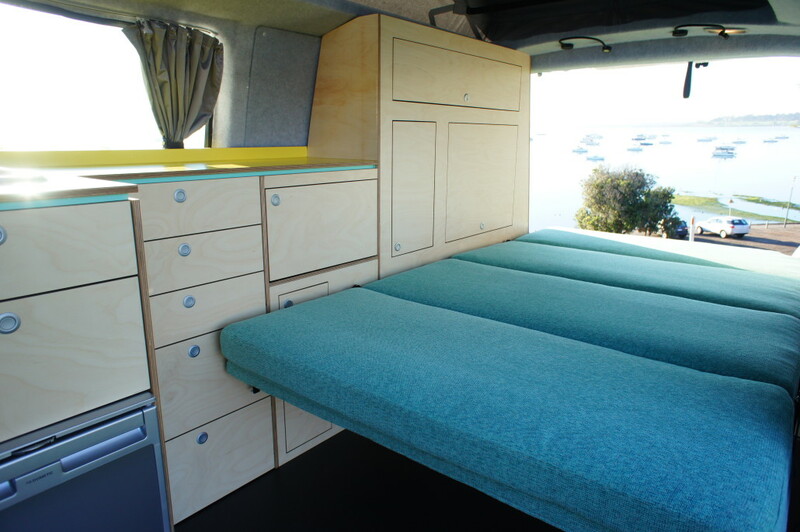 Colour scheme: Real timber (birch) cabinetry with pale yellow bench top and table top, light grey interior carpet and curtains, Tangent Seafoam by Warwick Fabric. 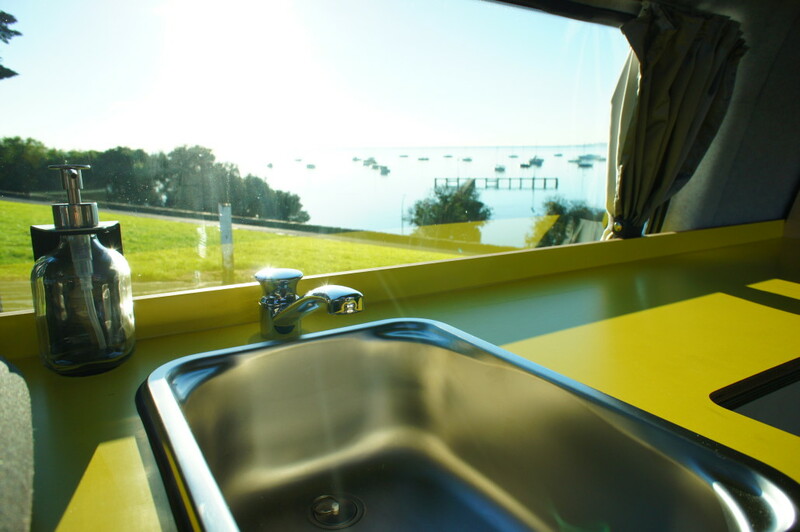 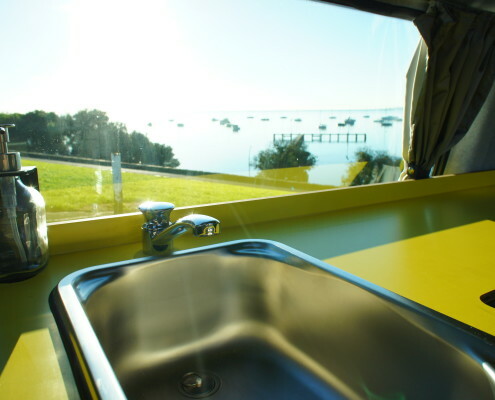 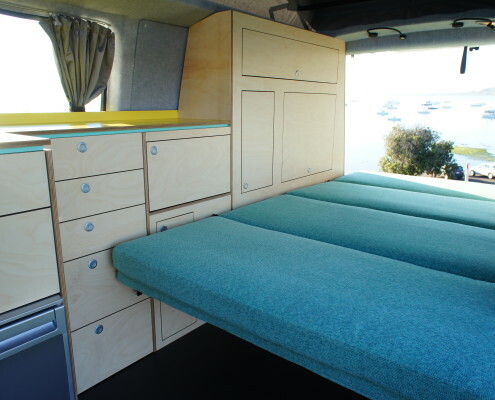 Our campervans are the only vans with fully insulated and carpeted interiors, which means a soundproof sleep at the perfect temperature. 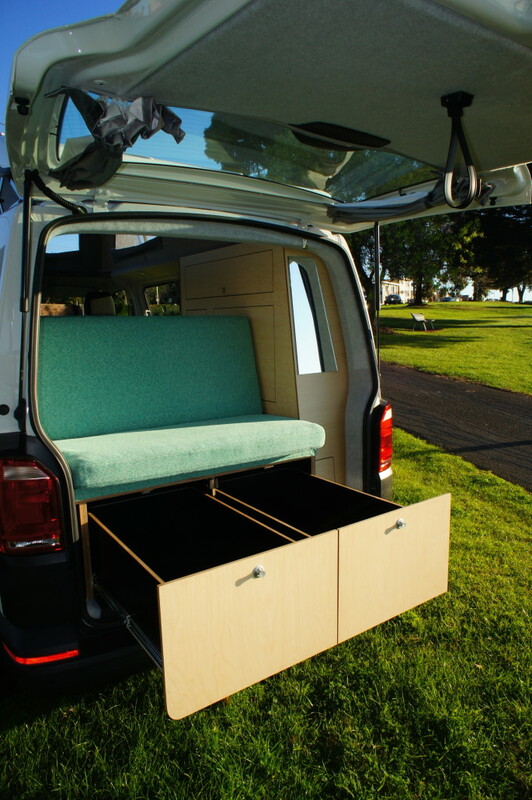 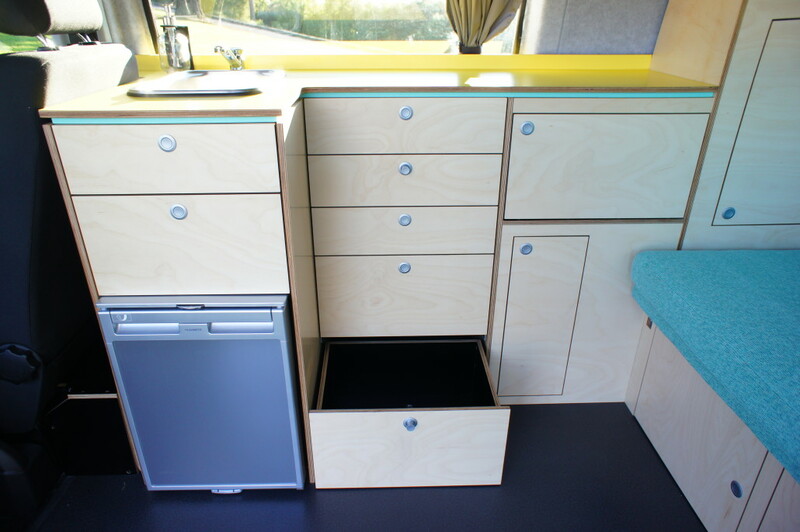 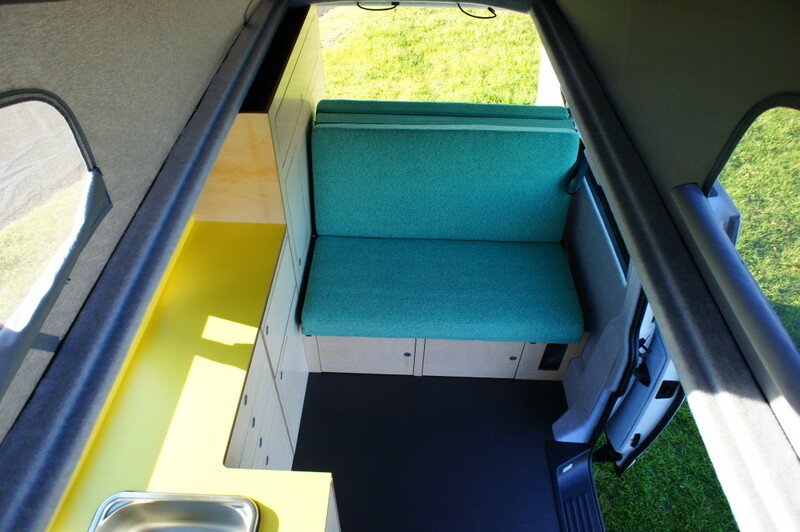 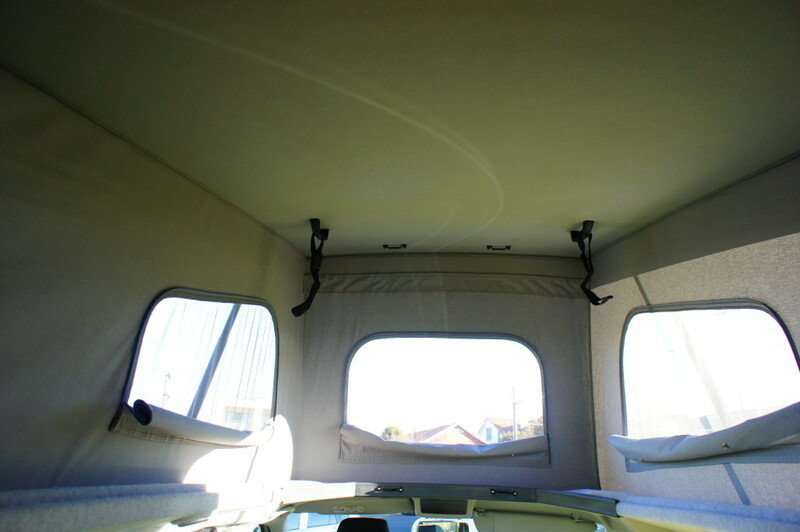 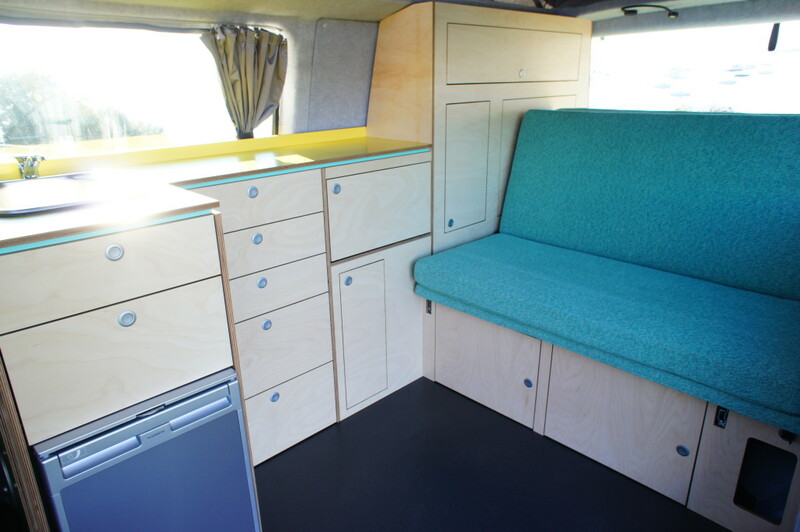 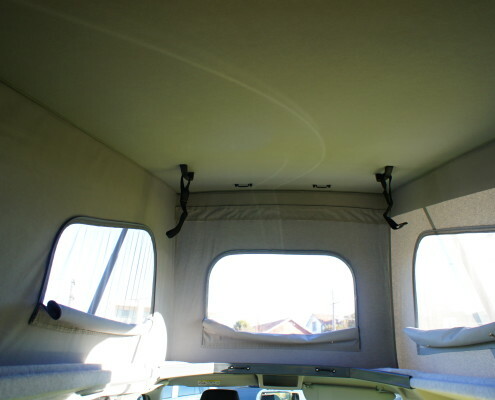 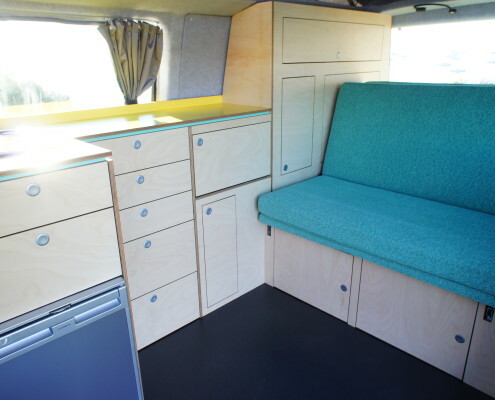 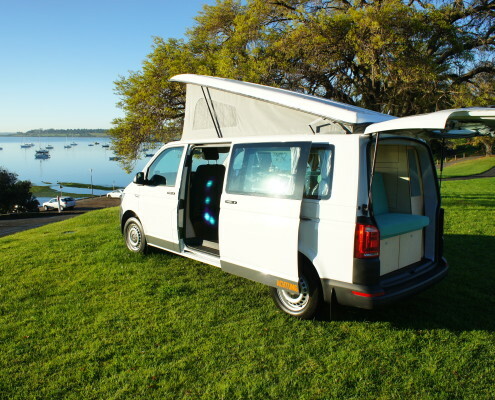 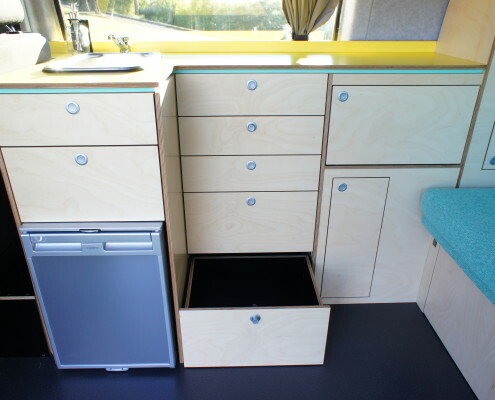 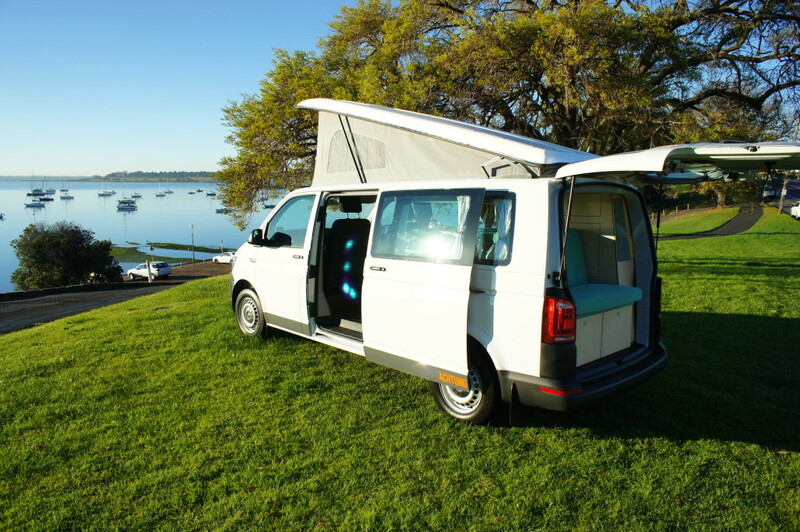 Custom sized storage means every inch of space is utilised with our campervans having more storage space than any other similar sized van on the market. 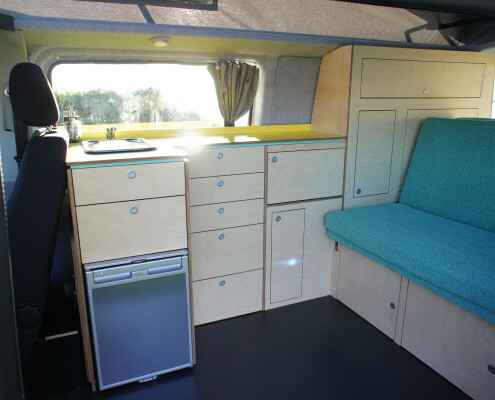 Achtung Camper provides a five year warranty on our campervans and campervan conversions and ongoing after sales assistance. 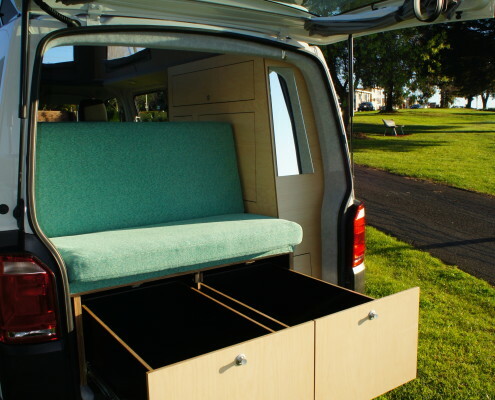 We’ll stay in touch after you drive away and be there for you down the track when you decide you really should have had that flat screen TV after all. 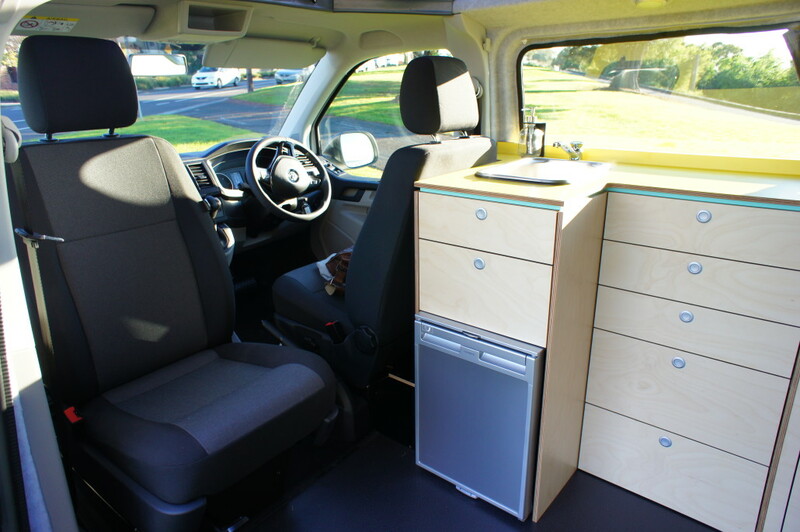 Drive away price includes stamp duty, transfer fees and 12 months registration. 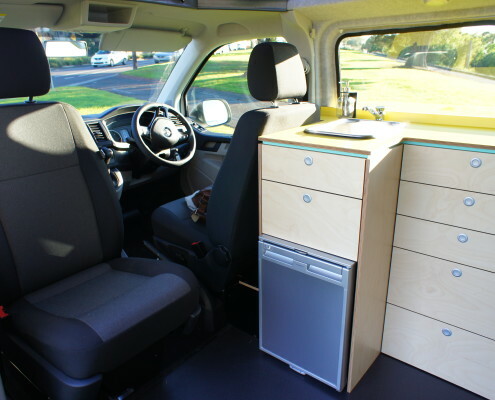 CAMPING WITH A BABY/TODDLER – THE NECESSITIES VW Long Wheel Base VS Short Wheel Base – which is right for me?